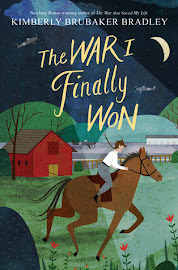 The Center of Everything has been getting some early Newbery attention, and while that is not in any way a reliable indicator of what will actually win the Newbery, or even what will be a favorite later in the year (remember the slow (and very unfortunate) demise of Wonder? 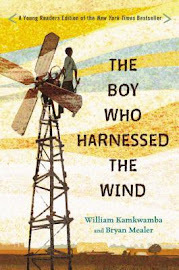 ), I wanted to get started on my goal of reading several potential-Newbery titles this year, and this looked like an enjoyable one. Whew, nothing like beginning a review with a paragraph-sentence! Ruby Pepperdine has had a bit of a rough year. First Gigi (her beloved grandmother) dies without Ruby having time to listen to her final advice. Then Ruby can't decide what to make of the attention from a nice boy in her class named Nero. And then to top it all off, Lucy, her best friend from forever, gets mad and abandons their friendship. Luckily, Ruby's birthday coin went sailing through Captain Cornelius Bunning's donut (long story...) AND she won the Bunning Day Essay Contest, so she takes both as a sign that her life's problems will soon be fixed. I read Linda Urban's first book, A Crooked Kind of Perfect, a couple of years ago and thought it was okay. And I thought The Center of Everything was okay, too. Both novels are a little bit quirky (sorry, a donut-obsessed town is quirky in my opinion) while exploring typical middle-grade issues (friend-breakups, early romances, defining oneself, etc.). I enjoyed it, was even interested to see how it would end, but it's already fading from my memory. And unfortunately as time goes by, the little annoyances I felt while reading it are the impressions that really seem to be sticking with me. For example, for the life of me, I could not get used to this story being told in present tense. Lest you make a hasty judgement about me, let me point out that I am definitely not one of those readers that is highly distracted and irritated with present tense. Usually, I have no problem settling into it, and by the third page I've completely forgotten what tense I'm reading in. But this one was different. And I think it was because it kept falling out of present tense, but only briefly, so that when it went back to it, it felt like a jolt or a slap in the face. And this happened over and over again. Here's one example: "And this year, for the first time in twelve years, Ruby had something really important to wish for. Not that her hair would turn curly or that she'd get a new bike or that she'd be better at soccer, but something really, truly important [all in past tense]. Something she hasn't stopped thinking about since she saw Nero's color wheel last week. And now she has missed her chance [back in present tense]." I'm not saying that Linda Urban is wrong to be floating between tenses like that. Of course I'm not saying that. I'm also not saying that she doesn't have valid reasons to use both tenses in the same paragraph. What I am saying is that for me, as a reader, the use of both tenses in one paragraph was distracting. It made me stop thinking about the story and start thinking about sentence structure and grammar. I wish I could have just stayed lost in Ruby's dilemma instead of bothering with something as insignificant and boring as had and has. Aside from the tense issue, I really loved the fact that the story was told from the point of view of an omniscient narrator. This is perhaps my favorite way to get a story; I love the way little details can be shared from the lives of multiple characters and how the reader is able to see connections the actual characters cannot. Linda Urban actually wrote a fascinating blog post on this topic recently where she shared examples from this book. I did like all of the science and math that was mixed in with the story: circles and torus and homeomorphisms--concepts I've never even heard of before. One of my favorite analogies was when Nero asks their teacher what happens if you have only 359 degrees in a circle instead of 360, and Mr. Cipielewski says, "You do not have a circle." And Nero asks what you have then, and Mr. Cipielewski says, "Nothing." Then the reader gets this comparison: "A week ago [Nero] had been just another boy in her class. Then a few days later they were friends. Or about to be friends. Like 359 degrees of friendship. But that was before Ruby said what she said. Was it possible that now they really were nothing?" I thought the set-up to this analogy was perfect and that the analogy itself was also perfect. I really liked Ruby, and I really liked Nero, but I really, really, really did not like Ruby's best friend, Lucy. Even after their friendship was patched back together, I still didn't like her. She was so selfish and self-centered, but even so, I don't think I was supposed to dislike her, which made me dislike her even more. 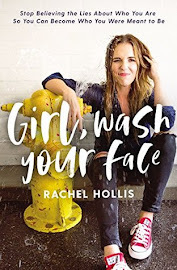 I love it when friendships are real and best friends aren't perfect (one of the reasons I loved the friendship in Sharon Creech's Walk Two Moons), but I thought Ruby could do better than a best friend like Lucy. One thing that caught me a little off guard at the beginning was the fact that Lucy has two dads. It was not explained or elaborated. It just was. (Which I appreciated since it was not a theme of the book.) I'm not going to get into a political or moral discussion here, but I will say that as a parent, this is a small detail that I would want to be aware of so that I would be able to discuss and explain and talk about it with my children. (Incidentally, and fyi, Lucy having two dads had nothing to do with me not liking her character. It was her utter selfishness I had a problem with). I found The Center of Everything to be an enjoyable read, but I have to admit that I hope whatever ends up winning the Newbery is more of a standout than this one. I have definitely come across the very same tense problem while reading, and also found it distracting. In a way I found it interesting (and in the case of one book in particular, charming), but for the most part I just got hung up on it and couldn't enjoy the story as well. I get distracted by the present tense. It just doesn't read as well as past tense. 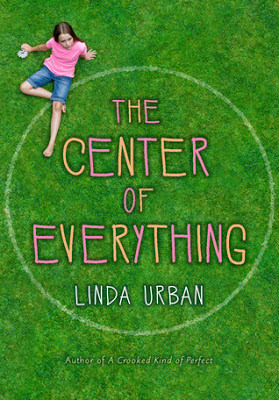 But I have read and loved several other Linda Urban books, but I agree that I'm not sure they are Newbery material. I agree...so why do so many authors lately choose to write in present tense? Is it considered more sophisticated? Interesting! I can't think of any books that are written in present tense, but I can see how it could easily become annoying, especially if you're switching from one to the other. And I agree about the two dads thing. That's probably something that should be explained instead of just mentioned.